Heath Hunter has spent a lot of time in Jamaica getting to know the artists who’ve inspired the development of his musical direction over the last decade. The album he has almost finished is co-produced with Sly and Robbie and features guest artists Capleton, Steven and Damian Marley. Heath spent his free time looking to find the real Jamaica and discovered that music plays the most vital role in the community. From the churches bursting with gospel to the sound systems in the urban ghettos bringing the people in droves from their homes to sing and dance in the street. Heath was so humbled by the strength and spirit of the people who live among 3rd world poverty and daily gun crime that he felt he had to package it and braodcast it. Heath sung Trenchtown and Revolution in the Marley studio and filmed both the production and its surroundings in a documentary style. Trenchtown is a documentary of the spirit that has born 3 decades of globally successful music because it’s all they have. Heath is very proud to see that Damian has since written his perspective on the same subject, He, who has been brought up in this extremely volatile neihbourhood has exposed the hideous reality of the gun culture that is glamourised by the commercial rap artists and inspires our black youth in Britain. 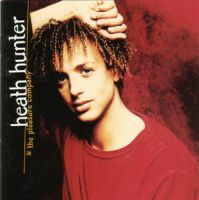 Heath was born in England to mixed race parents and has also grown up among the racial tensions of the 70’s and 80’s, He has fought for his rights to be part black and celebrates the built in rhythm and soul that has driven him to music and dance since his teenage years. Heath’s ambitions are already on the horizon, a world tour with Sly and Robbie and his extremely talented International band..